I’ve just finished writing my next Diana Rivers Mystery Drama: Children of The Plantation and it will be released on Amazon in the next week or so – final editing pending. For my regular readers, I believe you’ll enjoy this as much as my other two novels, perhaps more so as the mystery and clues are quite subtle. I’ll let you all know asap once it’s in print and there’ll also be a paperback for those who still prefer the feel and smell of paper! The first ever INDIE BOOK BLOWOUT – To celebrate this exciting event, I’ve reduced the price on my book: Echoes of Life and Love to only 99¢! Yes, it’s a weekend to remember! 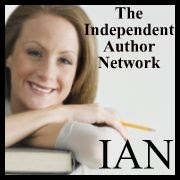 To score dozens of FANTASTIC indie books for only 99¢, visit indiebookblowout.com. While you’re there, register to win a brand new Kindle & up to $ 100 in Gift Cards (entry form on the site). You can purchase Echoes of Life and Love for only 99cents or 49pence here. 2nd September I’m the featured author on DailyCheap Reads.com (the US site). DCR is featuring: The Assassins’ Village at the bargain price of $3.45/£2.14 from 4pm US central time. Please click on your copy to buy now! 5th September I have been chosen by Frugal Reads to represent them as Frugal Find of the Day. Again, I’m delighted to say, The Assassins’ Village has been chosen by Frugal Reads for book content, style, brilliant reviews and price. Another excellent reason to click and download your copy! For those who want to meet me I’m taking part in at least four book signings before Christmas. The first is at the Happy Valley Fair on 17th September. Come and claim your paperback copy of either The Assassins’ Village or The Crossing (2nd edition). 25th October Limassol Ladies book signing at 10 am. So a bust time ahead – but exciting and just the way I like it!